What can I say: hop on a bus in Oaxaca, head south for eleven hours, and you are in a completely different world. 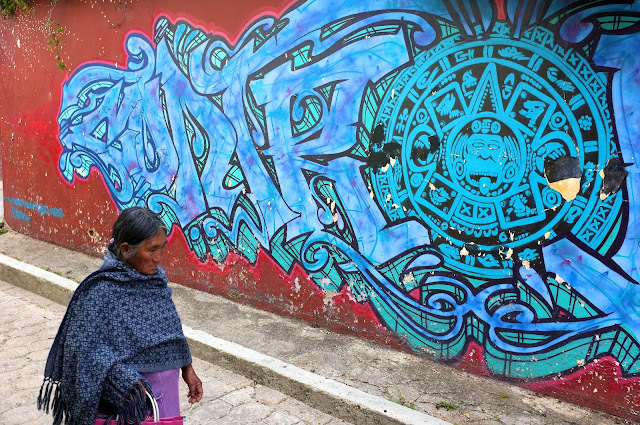 It’s a world that wears its indigenous Mayan roots on its sleeve; the streets and markets are thick with a cultural richness that you can see, smell, touch, and interact with. It’s my first visit to Chiapas and I’ve landed in San Cristobal de las Casas, the mountain town that is considered to be the “cultural capital” of this region. The size of this city – about half the size of Oaxaca, Oaxaca – doesn’t hold it back from having lots on offer: colonial buildings, cobblestone streets, massive rambling artisanal markets, fantastic restaurants featuring food from around the world, and a lively nighttime scene of cafes, bars, and restaurants, most with live music. Summary: It’s a little oasis in the mountains. Painted with the colors of its revolutionary history. Home to “the hippie set,” both the young and the free, and the older and greying kinds. The bus pulled in at 7:30 AM on Sunday. A short walk later and the streets open onto the central Zocalo. It’s a small centre when compared to Oaxaca’s and it’s quiet at this early hour. What’s different is the style of cafes surrounding it: stylish, with strong espresso and savory crepes – it’s a bit too much of a taste of North America, but it’s appreciated nonetheless. Next, a walk to Plaza Guadalupe to meet the mischievous and charming Loius of San Cristobal Language School. There is a slight misunderstanding with the apartment rental – the lovely cabin on offer is much further from the centre than expected – but the issue is quickly resolved and Luis is overly generous in his help toward finding new lodgings. I’m resolved to come back and dive into a Spanish immersion at his school in the coming months. New lodgings are quickly sorted, thanks to Cisco and Dani at Sol y Luna, a quirky little B&B in Barrio Carrillo. Cisco is the classic ex-pat host with the most: an LA-based photographer that left the hustle and bustle to run a guest house and grow orchids in Chiapas; you couldn’t find anything more authentic if you tried. How he and Dani keep the wheels on the cart with a two-year old and three-month old twins is beyond me. 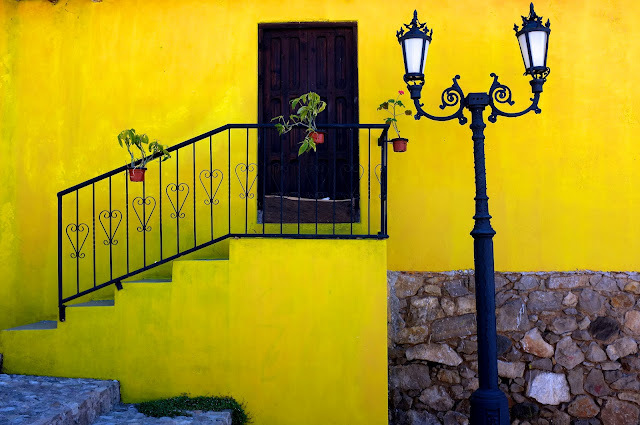 Sol y Luna is a great home base from which to explore the various churches, walking streets, and curiosities the San Cristobal has on offer. The market at Santo Domingo is impressive if you’re into artisanal handicrafts. The infamous Casa Na Bloom is interesting but underwhelming given the praise that it receives. So far, the stand out experience of this place is the food and live music – entirely different from Oaxaca – the first evening is punctuated with tasty “pechuga” mezcal and jazz at sultry Cocoliche and it leaves me with the taste for more. Alas, there is still much to explore that requires one’s senses in the morning – and I’ve managed an impressive sun burn (again!) – so the intensity will need to be dialed down a notch if I’m going to survive an excursion to San Juan Chamula this week. Worry not, sunscreen is on hand.